Over the last ten years I have traveled nearly one hundred thousand miles on two wheels exploring back roads and out of the way places throughout the southeastern United States. 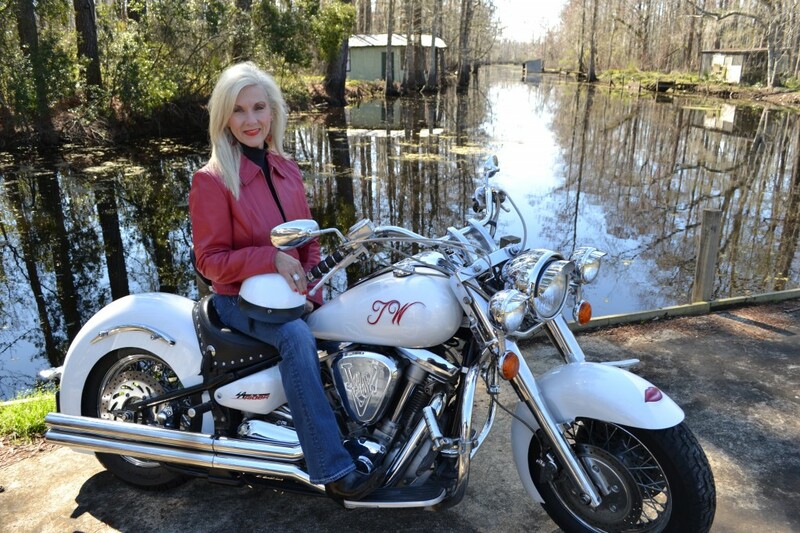 But when it comes to real motorcycle adventure, this Louisiana girl has discovered that some of the best riding can be found right in my own backyard. In this case I mean Livingston Parish. Louisiana Highways 16 and 22, which snake their way along the Amite and Tickfaw Rivers from Denham Springs to Springfield provide a wonderful motorcycle adventure.The roads are in excellent shape and well-marked, there are plenty of great twists and turns, the scenery at times is breath-taking, and most importantly there are a half-dozen or more great places to stop along the way to sample great food and entertainment. Places like Val’s Marina in Maurepas, The Hilltop Inn at Head of Island, or Tin Lizzies in Springfield, to name just a few. A great place to begin your motorcycle tour is at the huge Bass Pro Store just off Interstate 12 at Range Road. 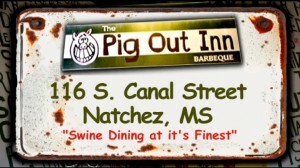 From Bass Pro head south on South Range Road and take a left on Highway 1032 or Vincent Road. This ultimately becomes Highway 16.LA 16 takes you through the towns of Port Vincent and French Settlement and ultimately intersects Highway 22. Head left on LA 22 and follow it all the way to the Town of Springfield. This portion of the ride affords you some great views of both the Amite and Tickfaw Rivers.Once you reach Springfield you may want to head to the Tickfaw State Park for a picnic lunch. That is if you haven’t already stuffed yourself with fresh shrimp, oysters, crabs or crawfish at one of the great restaurants along the way. For the return trip, I suggest you take LA 42 east from Springfield all the way back to Port Vincent and then north on LA 16 back to Denham Springs.This is a great way to see Livingston Parish and all it has to offer. Plus it is relaxing, the traffic is light and you can take as long as you like. It’s a great ride and by the way, you can do it in a car – but it is much more fun on two wheels!